President Muhammadu Buhari has approved an amendment to the excise duty rates for alcoholic beverages and tobacco with effect from Monday , June 4 , 2018 the Minister of Finance , Mrs . Kemi Adeosun , has said . She said the new excise duty rates would spread over a three – year period from 2018 to 2020 in order to moderate the impact on prices of the products. The minister said the new duty regime followed all-inclusive stakeholder engagements by the Tariff Technical Committee of the Federal Ministry of Finance with key industry stakeholders . According to her, the upward review of the excise duty rates for alcoholic beverages and tobacco was to raise the government’s fiscal revenues . She said that it would also reduce the health hazards associated with tobacco – related diseases and alcohol abuse . 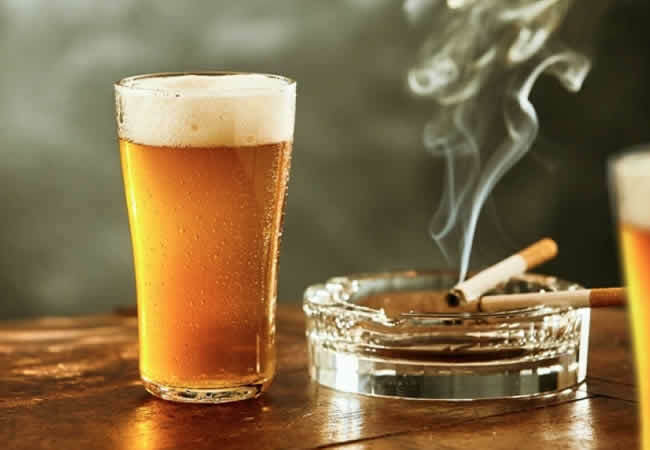 Adeosun said the new duty rate on tobacco was a combination of the existing ad -valorem base rate and specific rate while the ad – valorem rate was replaced with a specific rate for alcoholic beverages . “ For alcoholic beverages, the current ad -valorem rate will be replaced with specific rates and spread over three years to moderate the impact on prices . “ This will curb the discretion in the Unit Cost Analysis for determining the ad – valorem rate and prevent revenue leakages. “ For tobacco , the government will maintain the current ad – valorem rate of 20 per cent and introduce additional specific rates with the implementation to be spread over a three – year period to also reasonably reduce the impact on prices,’’ Adeosun said . She said that tobacco would in 2019 attract duties of two naira specific rate per stick, that is N40 per pack of 20 sticks in 2019 and N2 .90 kobo specific rate per stick, that is N58 per pack of 20 sticks in 2020 . Adeosun explained that Nigeria’s cumulative specific excise duty rate for tobacco was 23.2 per cent of the price of the most sold brand as against 38 .14 per cent in Algeria, 36 .52 per cent in South Africa and 30 per cent in Gambia . She said also that the new specific excise duty rate for alcoholic beverages cut across beer and stout , wines and spirits for the three years, 2018 to 2020 . Under the new regime, beer and stout will attract .30k per centilitre in 2018 and 35k per cl each in 2019 and 2020 . Wines will attract N1 .25 k per Cl in 2018 and N1 .50 k per Cl each in 2019 and 2020 , while N1 .50 k per Cl was approved for spirits in 2018 , N1 .75k per Cl in 2019 and N2 per Cl in 2020 . Adeosun said that the new excise duty regimes were in line with the Economic Community of West African States directive on the harmonisation of member- states ’ legislation on excise duties . The ECOWAS Council of Ministers had at its 62 nd and 79th Ordinary Sessions in Abuja in May 2009 and December 2017 , issued directives on the harmonisation of the ECOWAS Member States ’ Legislations on Excise Duties. The directives seek to harmonise member-states ’ legislations on excise duties of non- oil products and also stipulate the scope of application , rate of taxation, taxable event and amount.